I love giving homemade gifts for Christmas....and I LOVE receiving them, too. The thought and love that pour into something handmade are just so special. If I don't have the time to make a gift, many times I will find a way to support Moms who are running a business at home. She is an amazing Mother and has been such an encouragement to me. She also makes the loveliest handmade soap. It is 100% natural, with no artificial colors or scents, and preservative and chemical free. Just what I love in my home! I love her soap and with scents like Rosemary Mint, Sadie's Lavender, and Ava's Almond ...who can resist? Amanda was kind enough to offer Blissfully Content readers 10% off of their order from her shop: Levi's Lye Soap. Just use the coupon code: blissfullycontent10 during checkout. They truly make GREAT stocking stuffers! Amanda is also offering 2 fresh new bars to one lucky ducky reader! They are PERFECT for Christmas! "This scent is cooling, refreshing and very fragrant. It brings the smell of summertime peppermint to wintertime in the form of a nourishing bar of soap that will exfoliate your winter skin so well." "Handmade especially for Matthew, this scent is sweet and woody. Gentle enough to calm nerves after a long day for the working man, while abrasive enough to scrub away dirt with added grits. It will deter insects during a day in the woods. It is perfect to store in his closet and drawers to repel moths while not in use." With nourishing ingredients like coconut, olive and vegetable oils, local spring water, and grits the soap is cleansing and nourishing! We have been using both bars and they are so wonderful....refreshing, they have a great lather, and exfoliating. My skin feels hydrated and clean. For a second chance to enter, visit Amanda's shop and tell me which handmade soap is your favorite in a separate comment. Be sure and leave a way for me to contact you! Winner will be drawn on Monday, December 3rd and will receive 1 Peppermint Scrub and 1 Virginia Cedarwood handmade soap....just in time for the holidays! Best luck to all the entrants! I agree Julia, homemade gifts are the best! 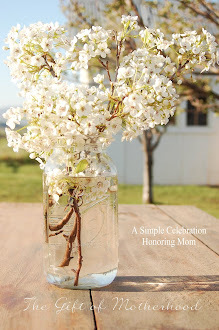 What a lovely giveaway...I would probably love the almond or the peppermint soap! I love homemade soaps! Those two scents sound wonderful--thanks for the giveaway! Just visited her shop--I would like to try the Ava's Almond soap. Me too! I love Amanda. In fact we just "talked" via email the other day. I've been thinking about her soaps... needing to restock. May I have a chance to win her two newest scents? Cederwood and Almond. Although I cannot speak high enough of the Honey Oatmeal or the Lavender. That stuff is AWESOME!!!!!!!!!!!!!! Would love to try this homemade soap for the first time! I think my fav to try would be Sadie's Lavender. Lavender is so calming. Oh love Amanda, I can truly say that, somehow people come into your life, and you are just a beter person for it. Having had a sample of her soap, and loving it, i can say first hand how wonderful it is. Anyone would be thrilled to receive such a gift!!!! I would try the peppermint, how wonderful for the holidays!!! How wonderful! I love homemade all natural products. Thanks for the chance to win! I would love either to try the peppermint or Sadie's Lavender...although all the soaps sound fantastic! I'd love to try the honey oatmeal. I love homemade gifts. I wish my family members did, that would make gift giving so much easier and nicer. I would like to try the Virginia Cedarwood ... I really appriecate when there are products for men ... seems like so many things are for women and men get left out. Thanks, Julie and Amanda! I hope this contest is open to Canadians...the soap looks beautiful. I took a look at the shop and I would like to try the lavender soap - nice and relaxing! We only use homemade/handmade soap! We're always looking for new places to get some! Thanks for the chance! I would love to try the honey oatmeal soap! Sounds like it would smell good and be a good exfoliant! Oh, it must be for me:) It's Virginia Cedarwood- right where I live. A lovely give away indeed. Thanks for the great give away. I love peppermint soap! I just scooted over to her shop and I think the almond would be wonderful ! Love homemade soap! Thanks for the givaway ! I love pretty homemade soap and would give one to my Mom for Christmas! She LOVES peppermint! Would LOVE the Almond cold process soap, or peppermint scrub! Who am I kidding- they all sound great! I love handmade soaps. That's something I'd like to learn to do. Since I am in a festive mood, I think I would love to try the peppermint scrub. You can contact me through my blogger profile. My e-mail is linked up there. Hear, hear to handmade gifts! Thank you, Julia and Amanda, for the opportunity to win these lovely soaps. Wow! These look great and a good price too! I will be getting a few for friends! I would love to try her lavender soap, especially for our baby! Handmade soaps are the best--so delicious! I used to use liquid scary body wash, and I just feel better about life since I've made the switch to not-scary homemade bars:)! Thanks for giveaway, ladies! I think the cedarwood would be my favorite scent from her shop. Or the oatmeal, but I love the smell of cedar! I think I would love to try the Almond. They all sound good though! I love homemade soaps! Thanks for the giveaway! I visited Amanda's store. I'd like the Peppermint Scrub! Oh how I miss Amanda's sweet blog. I would love the chance to win her wonderful soap! Thanks Julia and Amanda for this chance to win! I love everything in her shop but especially the Peppermint scrub! I use local homemade soap and I LOVE it. It is the only thing I use on my face. I love handmade soaps!!! Thanks for a chance! I too, am doing all homeade gifts and what lady doesn't love a sweet smelling soap? Thanks for the chance! How delightful! Thank you for a chance to win! Oh I love her shop! I'm putting the Honey Oatmeal on my Christmas list. The Rosemary Mint Soap would be my favorite! Handmade soap is my favorite luxury! She packages them with sweet little ribbon... I know I will like her soup just because of this little detail. I have always wanted to try my hand at making soap but have yet to actually do it. I would love to try the peppermint scrub! Love, love, love handmade soap! Thanks for such a great giveaway! How can you choose just one favorite when it comes to handmade soap?? Honey oatmeal or rosemary mint! there's nothing better than handmade soap! so pretty too. and the honey oatmeal scent in her shop sounds amazing too! 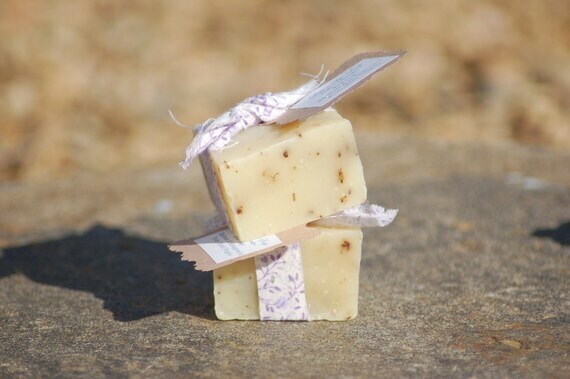 Oh I just adore handmade soaps ... they are pure luxury! Thank you, so much, for giving us this opportunity!! All of Amanda's soaps look wonderful but if I had to choose just one, I'd choose Sadie's Lavender. Mmm! I'm working on some homemade Christmas gifts too. These soaps look wonderful. If I were to pick one soap from Amanda's site for myself, I'd choose the honey-oat bar. I like what oats and honey do for the skin. I'd love to enter your lovely giveaway. I'd love to try these soaps - they look fabulous. Thanks for opportunity! I think Sadie's Lavender is my favorite. Great Giveaway!!! I would love to try the handmade soaps. I can hear reindeer bells when I look at the holiday soap. Please enter me in your generous giveaway! Homemade gifts are the best! I think the peppermint sound wonderful! I just visited the shop. I think that I'd prefer the peppermint scrub or the rosemary mint - both sound very refreshing! This sounds heavenly! I love peppermint and the scent of cedar! And I am getting better at homemade gifts! 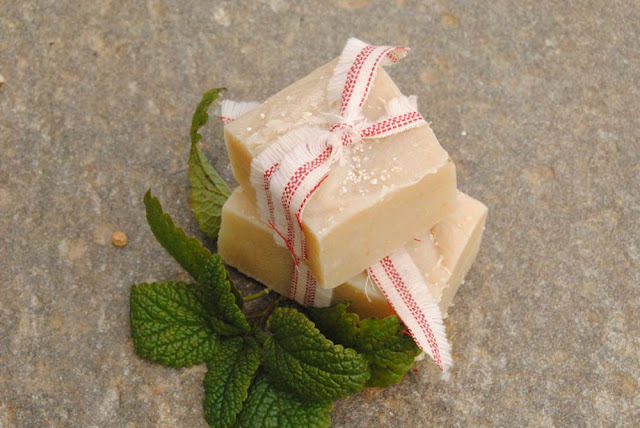 Homemade soap is wonderful - and that you have a friend who makes it must be a blessing indeed! I'm a sucker for all things lavender so Sadie's Lavender sounds like heaven to me! I think the peppermint would be great , and the oatmeal honey. I may have to slip some in my own stocking. Thanks again. so beautiful , very lovely.